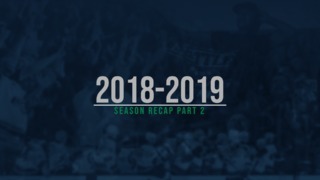 KENNEWICK, September 9, 2017 — The Kootenay Ice defeated the Seattle Thunderbirds 5-3 Saturday afternoon in a preseason game at Red Lion Hotels’ Preseason Tournament at the Toyota Center in Kennewick. 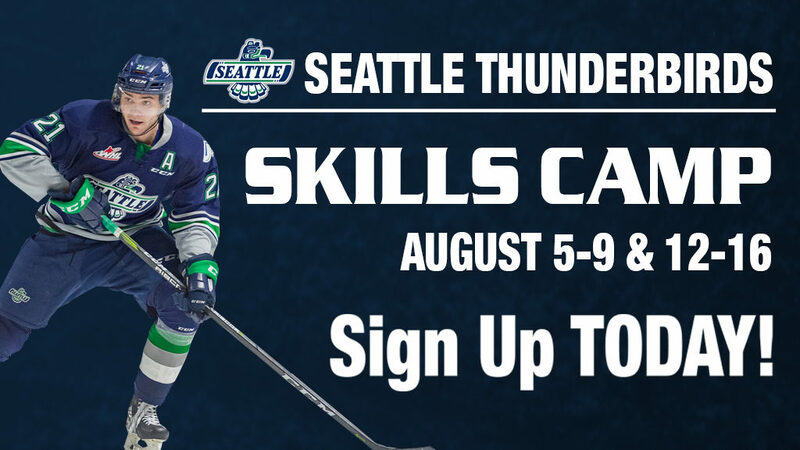 The T-Birds wrap up preseason play with back-to-back games against the Everett Silvertips. They will play on Friday, September 15, at 7:30pm at Xfinity Arena in Everett. The T-Birds will return home to the ShoWare Center on Saturday, September 16, at 7pm for their final preseason game. Seattle took a 1-0 lead at 3:59 of the first period on Zack Andrusiak’s third goal of the preseason. Tyler Adams and Matthew Wedman had the assists. The T-Birds extended the lead to 2-0 at 16:44 of the first on a goal from Samuel Huo. Andrusiak and Blake Bargar had the assists. Kootenay cut the T-Birds lead to one at 18:43 of the first on a goal from Max Patterson. The Ice outshot the T-Birds 14-7 in the first period. 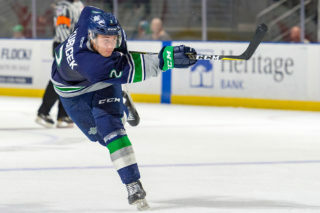 Andrusiak put the T-Birds in front 3-1 on the power play at 5:48 of the second period with his second goal of the game. Dillon Hamaliuk and Huo were credited with the assists. Kootenay came back less than two minutes later and cut the lead to one when Ryan Pouliot scored. Noah Philp and Colton Kroeker had the assists. Cole Schwebius replaced Matt Berlin in net for Seattle midway through the second period. Berlin had 15 saves on 17 shots. The Ice tied the game 3-3 at 15:48 of the second on a goal from Barrett Sheen. Michael King and Keenan Taphorn had the assists. Seattle outshot Kootenay 10-9 in the second period. Kootenay had a 23-16 advantage in shots after two periods. Sheen scored at 10:33 and Philp at 11:46, on the power play, of the third period to give the Ice a 5-3 lead. Kootenay outshot Seattle 8-7 in the third period and 30-23 in the game. Schwebius finished the game with nine saves on 13 shots. Kootenay goalie Mario Petit made 20 saves on 23 shots. The WHL Champion T-Birds start the 2017-18 Western Hockey League regular season against the Tri-City Americans on Saturday, September 23 at 7:05pm at the ShoWare Center. T-Birds single game tickets for the 2017-18 home opener that will feature the raising of two championship banners are currently on sale online on the T-Birds website and at the ShoWare Center box office. First period – 1, Seattle, Andrusiak 3 (Adams, Wedman), 3:59. 2, Seattle, Huo 1 (Andrusiak, Bargar), 16:44. 3, Kootenay, Patterson 2, 18:43. Penalties – Hyman, Sea (interference), 7:47. Huston, Ktn (high-sticking), 14:10. Second period – 4, Seattle, Andrusiak 4 (Hamaliuk, Huo), 5:48 (pp). 5, Kootenay, Pouliot 1 (Philp, Kroeker), 7:23. 6, Kootenay, Sheen 2 (King, Ke. Taphorn), 15:48. Penalties – McNelly, Sea (kneeing), :56. Carpendale, Sea (misconduct-mouthguard), 4:41. Sheen, Ktn (slashing), 4:41. Adams, Sea (major-fighting, game misconduct), 12:26. Chudley, Ktn (major-fighting, game misconduct), 12:26. Orzeck, Ktn (cross checking), 12:26. Carpendale, Sea (slashing), 16:17. McNelly, Sea (interference), 16:17. Pouliot, Ktn (unsportsmanlike conduct), 16:17. Sheen, Ktn (tripping), 18:35. Third period – 7, Kootenay, Sheen 3 (McClennon, Orzeck), 10:33. 8, Kootenay, Philp 1 (Orzeck, Kroeker), 11:46 (pp). Penalties – Pouliot, Ktn (cross checking), 6:52. Lee, Sea (slashing), 10:54. Pouliot, Ktn (cross checking), 12:06. Bargar, Sea (roughing), 19:55. Russell, Ktn (roughing), 19:55. Pouliot, Knt (interference, major-fighting, game misconduct), 19:55. Carpendale, Sea (major-fighting, game misconduct), 19:55. 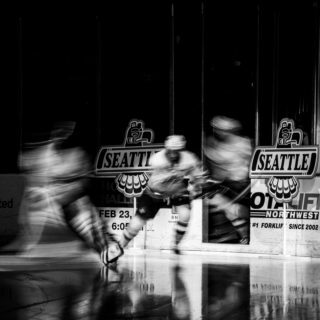 Shots on goal – Seattle 7-10-7 23, Kootenay 14-9-8 30. Goalies – Seattle, Berlin 17 shots-15 saves, Schwebius 13-9 (0-3-0-0); Kootenay, Petit 23-20 (1-1-0-0). 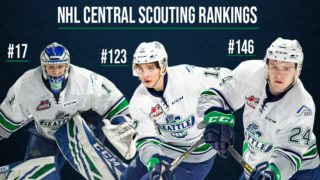 Power plays – Seattle 1-7; Kootenay 1-4. Referees – Ryan O’Keefe, Ward Pateman. Linesmen – Manteen Hessami, Dustin Minty.